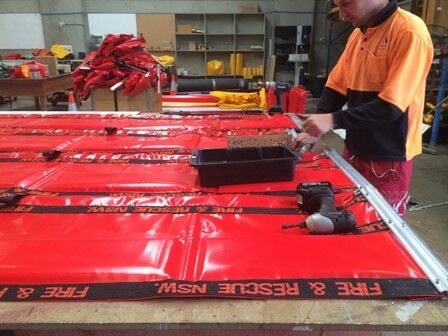 Chatoyer Environmental has completed another tranche of Floating Fence Booms and Containment Booms custom made for the Fire & Rescue New South Wales. Each boom is manufactured in 10m lengths with custom bags to make for easy handling. The commencement of this contract was one of the initial reasons that Chatoyer Environmental started manufacturing in 2009. Since that initial supply, we have fabricated and delivered more than 3,000m of Fence Boom and Containment Boom to this response agency. We were selected on the back of independent tests of 6 types of Floating Containment booms from a range of international and local companies. It was found that the Assise brand of Fence Booms and Containment Booms were made with stronger design integrity and quality of build.